Here you will find an intimate and homely retreat in a prime area of Paris. 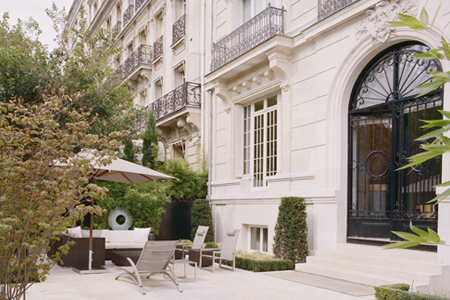 La Reserve Paris Hotel and Spa overlooks the Grand Palais, the Eifel Tower, The Pantheon and the Concorde obelisk. In a capital as stimulating as Paris when it comes to gastronomy, Le Gabriel restaurant with chef Jerome Banctel is amongst the best, boasting two Michelin stars, offering contemporary French cuisine inspired by the seasons. 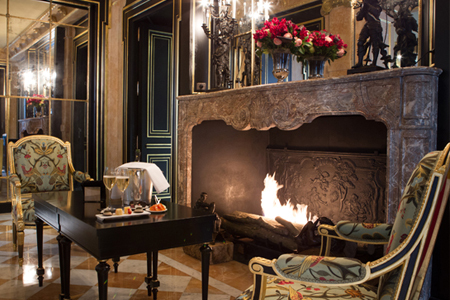 The hotel has all the elegance of a 19th-century home with rich fabrics and beautiful marble fireplaces; it is more akin to a private club than a conventional hotel. Highlife‘s experience with small niche properties like La Reserve Paris will be invaluable in forming strategic partnerships with appropriate luxury brands, private clubs and maximising relationships with high end travel agents. Ideally situated in Trocadero, the La Reserve Paris Apartments provide space and intimacy and all the services of a five star hotel. Ranging from one to four bedrooms the contemporary interiors combine well with the classic Haussmann-style building.